Geoff started his career as a lawyer, being a Partner in Australia’s largest commercial law firm, specialising in mergers and acquisitions. He then was a Co-owner of a boutique investment bank and ultimately was the CEO of Investec Bank Australia. He has been a director on a number of public and Australian government boards and is currently the Chairman of Monash Private Capital, Cromwell Property Group Limited, Alleasing Group of companies and Wentworth Williamson Management. He founded Our Innovation Fund, a dedicated fund under the new Australian Innovation legislation. 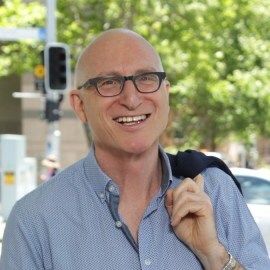 Geoff was appointed an Officer of the Order of Australia in the 2005 Queens Birthday Honours List.